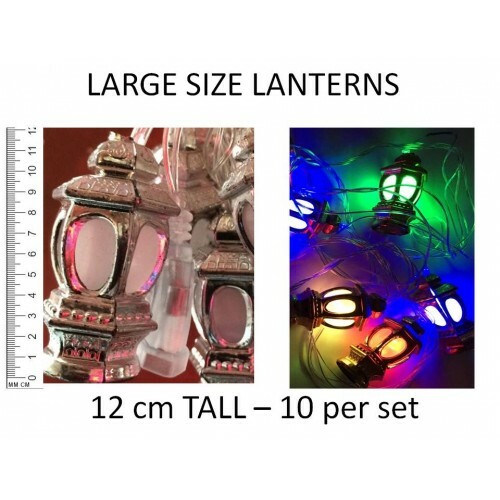 12 cm Tall Silver Ramadan Lantern lights provide the perfect final touch to any Ramadan event. 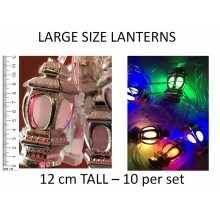 10 Ramadan lantern shaped lights will brighten any home, mosque or shop. Flashed multi colours for added effect. Stretches over 3 metres long.